Municipal P3 Learning Symposium – April 30 – Regina, Saskatchewan – Actual Media Inc.
Actual Media and Parkridge Consulting joined forces in 2011 to deliver P3 training seminars across Canada. This P3 educational programming has enabled dozens of organizations and hundreds of individuals to prepare for the implementation of P3 infrastructure projects. 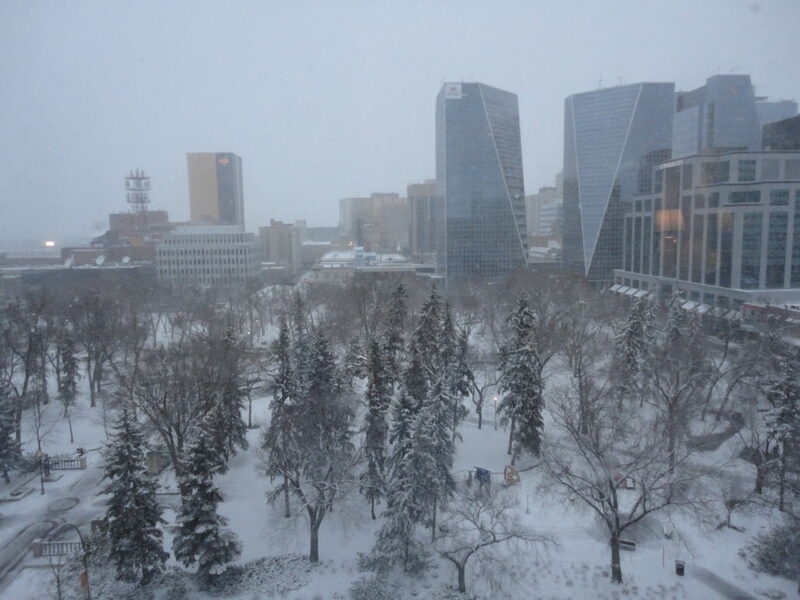 The latest seminar in the series was held (during a freak spring snowstorm) at the Radisson Hotel Saskatchewan in Regina on April 30. Cynthia Robertson and Stanley Strug led the training session that included expert presentations from Morrison Hershfield and Grant Thornton. Delegates at the full day session engaged in an interactive dialogue on public-private partnerships, project procurement and risk management that used case studies and real-world scenarios to inform and educate. Delegates were also treated to a luncheon address by Rob Penny, the Deputy Minister of Infrastructure & Transportation. We learned that on June 1, Mr. Penny will leave his post in the Saskatchewan government and move to Edmonton as the Deputy Minister of Transportation for Alberta. SaskBuilds, the newly created provincial infrastructure agency, plans to announce their CEO appointment in September but in the interim, they expect to roll out their infrastructure fund to the municipal sector over the summer. Kyle Toffen of SaskBuilds (who also attended the Regina session) expects strong interest in this funding program from municipalities and First Nations across the province. The P3 event in Regina was the second of the 2013 Municipal P3 series – a similar symposium was held in Toronto this February. Four more full-day sessions are scheduled for the year – visit www.actualmedia.ca/ppptraining for dates, locations, and registration details.